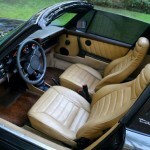 Following on the heels of yesterday’s fantastic Black and Tan 3.2 Carrera, we’ll step back one model to the 911SC to take a look at an example much more suited to providing weekend enjoyment without concern over the high initial cost. While there are certainly important differences between the 911SC and the 3.2 Carrera, for many buyers choosing between the two models might come down simply to the best available car at the best available price. This could be especially true for buyers who are new to the marque and want their first experience of an air-cooled 911. 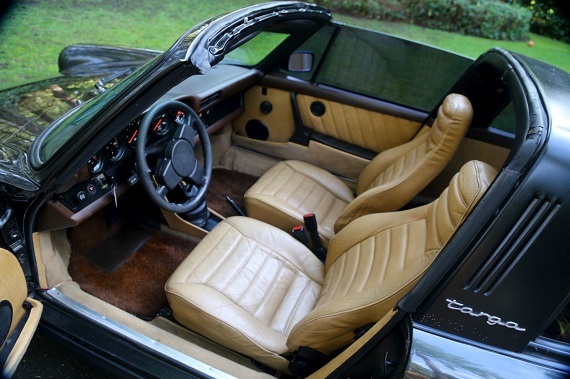 The one we see here, a Black Metallic 1980 Porsche 911SC Targa with Tan interior and 70,675 miles on it, checks a lot of similar boxes to yesterday’s Carrera, though in most every regard we have to bring our overall assessment down a grade or two. 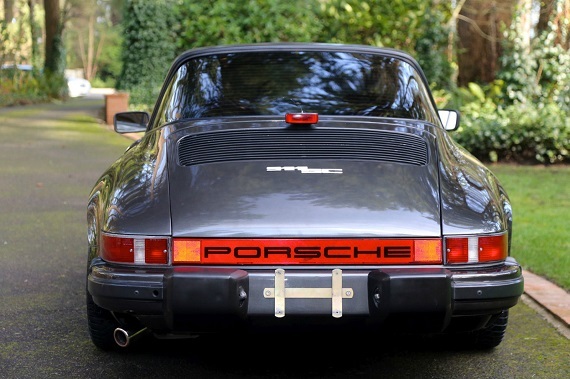 This has clearly been a 911 that has been used, but it still presents well for its age, which suggests it has seen appropriate care over its life. 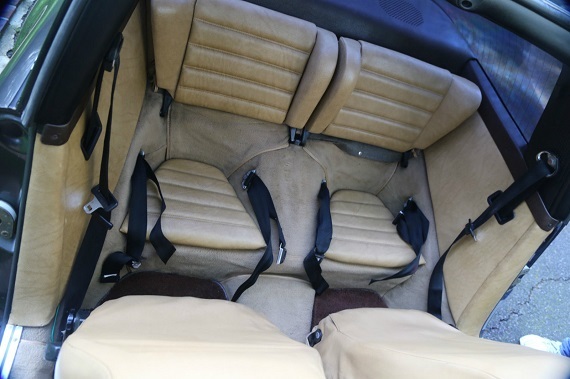 And, of course, that use results in a much lower cost of entry: while the Carrera sat with an asking price of $80K, bidding on this auction sits at a very reasonable $21,100. The seller’s reserve has not been met so that price will have to come up, but we’re still a ways away from where this 911 becomes overpriced. 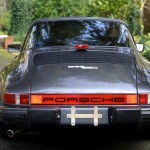 Knowledgable Porsche buyers want 911SCâ€™s because the are so simple, robust and inexpensive to maintain. There arenâ€™t any complex ECUâ€™s, they are light and responsive making them feel like a sports car. I have applied for a Porsche Certificate of Authenticity to verify the color names and options but what you see is a unbelievably well maintained car in great colors. 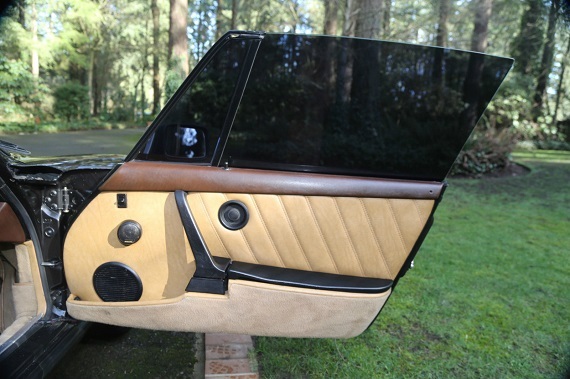 (Power windows) and a targa The original interior tells an accurate story on how well the car was cared for, there isnâ€™t a crack in the dash or a tear in the upholstery or excessive damage to the carpeting. The paint is incredible but i am guessing that it was re-sprayed in the original color because its too good to be 38 years old. There is no evidence of overspray or masking lines but I canâ€™t see any significant flaws making me think that the past owner paid a lot for the re-spray. This car drives as good as it looks with perfect steering, brakes and suspension. The engine doesnâ€™t smoke or leak and starts hot and cold instantly without smoke. There are no oil leaks, the transmission shift effortlessly and exhaust is solid. well maintained characteristics all over the place. This car must be seen to believe. 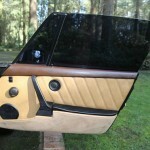 If you are interested, I can arrange a Pre-Purchase Inspection or can hold he car for you to come and see and drive. Please feel free to ask me any questions. 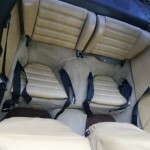 I can get the car to a port and work with you to export the car. I have a good relationship with Schumacher Cargo Logistics so I am happy to get the car shipped overseas. I can also assist in getting the car shipped domestically. This 911SC comes in that great combination of Black and Tan, but here we have a slight departure from the norm with Black Metallic. The metallic shade removes some of the depth of that black paint, which in many cases is so beloved by those who are fans of black cars, but in its place you do get more interesting variation in color. 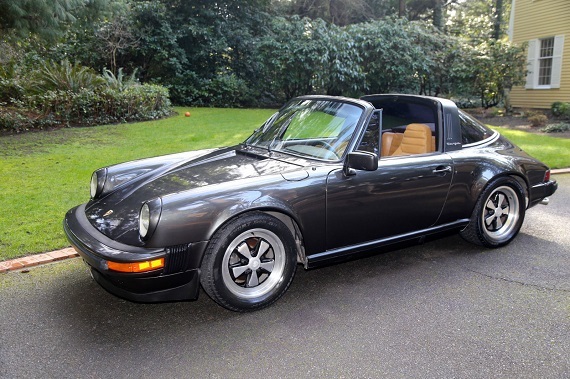 For those with an eye on the 911SC I also saw an auction for a Meteor Grey 1982 911SC Targa, which in many ways presents quite similarly to the one seen here. I had a couple questions concerning that 911SC, which is why I chose to feature this one, but I think both show a lot of potential and are worth consideration. 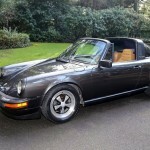 Obviously, not everyone will prefer the Targa, and even though a Coupe of similar condition will cost more I think these cars go a long way at suggesting that 911SC values are remaining relatively reasonable. And we all know they make for excellent driving! 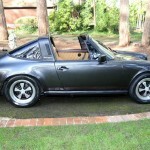 Tagged 1980, 911SC, air cooled, Porsche, targa. This one is on the Seattle CL for 35k. Nice one! 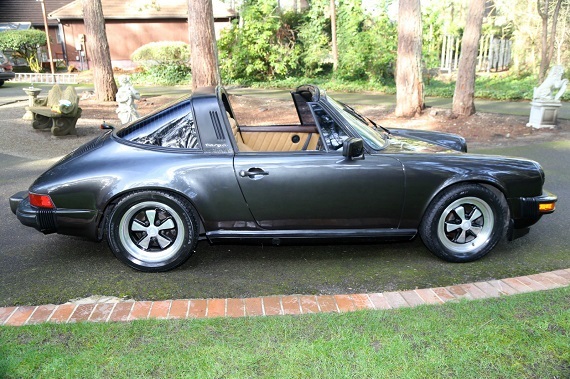 And I am generally not a targa fan, but I like this one. Great colors for my taste, without the tinted windows. Looks like the drop in P-car values at the top end is starting to trickle down to lesser models now…can’t say I’m surprised but had to start happening at some point. So this one went for $30K and the Meteor Gray one, with ~85K miles, went for $35K. Interesting to see how the auction market works, and not always as you’d expect. Still not bad money for a car that just 5 or 6 years ago could still often be picked up for less than $15K.